As the Western world reels from the effects of the mass migration from Africa and the Middle East and the media is full of harrowing stories of innumerable human tragedies, Girjesh Kumar Singh’s compelling sculptures made from broken bricks of destroyed homes provide a perfect artistic testimony to the traumas we are living with in our contemporary societies. The artist’s practice manages to combine the poetics of destruction with something human and historical, transforming the inanimate into the visceral, and bringing to light difficult truths which are too often suppressed or ignored by those unaffected. 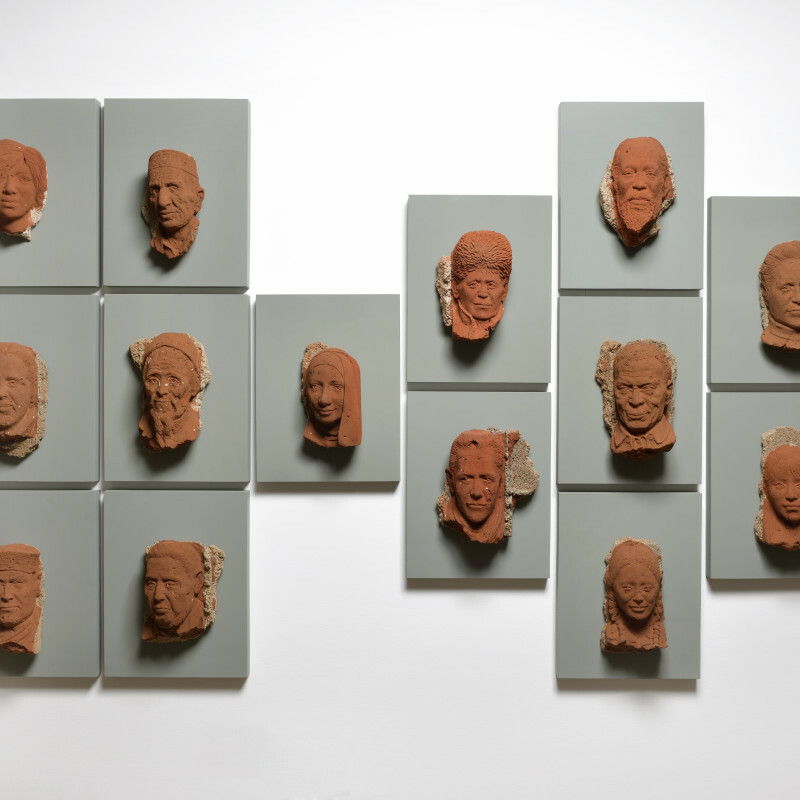 His works features large scale groups of figures carved out of broken bricks from demolished walls which the artist collects from his hometown Uttar Pradesh and from other cities in India, that highlights Kumar Singh’s interest in destroyed building sites and their legacy. A social and humanitarian artist rather than a political one, Singh is interested in the history of his materials, in both a literal sense that deals not only with actual past events and architectural structures, but also in the implied human narratives that established them. By reintroducing a human element to these objects, the artist reminds us that the meaning of buildings, their homeliness and utility, can only exist through social interpretation. Furthermore, by asking us to consider the lives of the people who might once have inhabited them, he also poses inevitably emotionally charged questions about current human situations; ‘where people might be, and what has become of their lives.’. Girjesh Kumar Singh born in 1981 Girjesh is from Uttar Pradesh and lives and works in Vadodara, Gujarat. Graduated in Literature, Economics and Philosophy at art school in Benares first, completed his BFA in 2004 and then went on to Baroda to do his MFA in Sculpture from Maharaja Sayajirao University in 2006. Girjesh has participated in a number of group shows and had his first solo show with The Lalit Kala Academy, Varanasi in 2004. His second solo show was held at The Strand Art Room, Mumbai in 2010. He held his third solo show in October, 2012 in Mumbai and the show travelled to New Delhi in January, 2013. Girjesh’s works have been acquired by important corporate and private collectors in India, Singapore, Chicago among others.Girjesh’s works have been acquired by reputable corporate and private collectors in India and overseas.